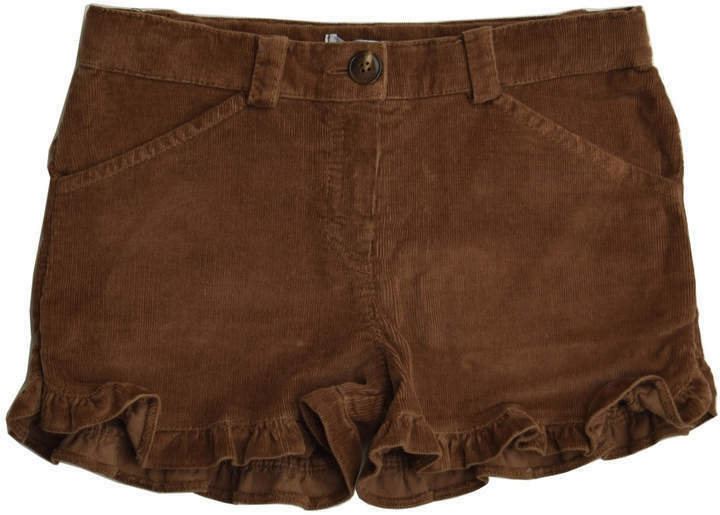 Suggest that your little princess team a dark green cardigan with brown shorts for an easy to wear, everyday look. Dark green rain boots are a good choice to finish off this outfit. 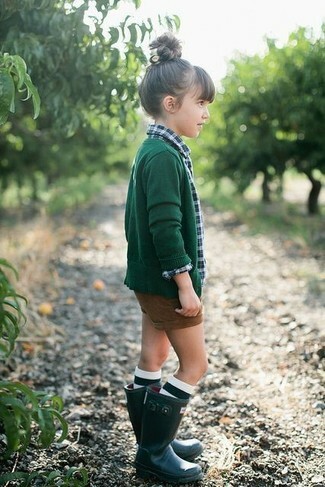 Suggest that your tot go for a white long sleeve blouse and foque brown corduroy shorts for an easy to wear, everyday look. As for footwear your girl will love dark brown leather boots for this style.